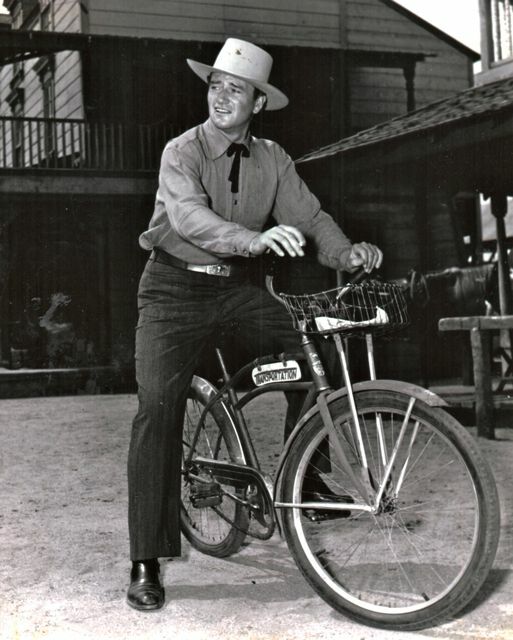 John Wayne riding high in the saddle on a Republic Pictures’ Transportation Department steed — a Colson bicycle. Photo, for Photoplay Magazine, taken in 1945 during the filming of “Dakota.” Today, May 26th, is Duke’s birthday. Happy 110th! !